David makes the process easy and the costs are competitive. All of our Jacksonville family lawyers here at Grigaltchik & Galustov, Attorneys At Law, are both talented negotiators and highly skilled in litigation, and are prepared to work towards the best possible resolution for you and your family. We can also assist with asset distribution, enforcement, relocation, and modification of existing agreements and court orders. Call Jacksonville Family Law today at (904) 337-4891 for a Free Consultation! With Family Law matters, there is no set standard. Every case is unique and has it’s own individual issues that need to be resolved. We work with you to ensure you fully understand all of your options, and the consequences of those options, and to help build a plan that is suited to your specific goals and desires. While the choice is yours, we will be there to guide and support you through this difficult and often emotional time. Grigaltchik & Galustov are committed to treating you with personal attention to your unique situation, and will assist you in reaching the best possible outcome for you and your family. As a dedicated Jacksonville Family Law Firm, Grigaltchik & Galustov, Attorneys At Law, is dedicated to supporting you in all of your family legal matters. 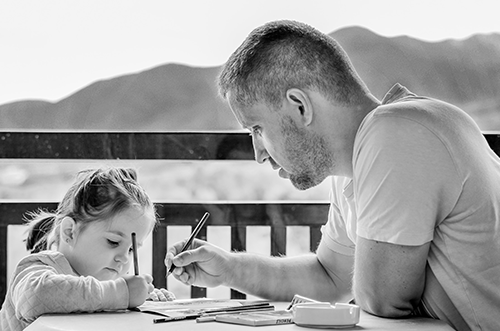 Whether you are struggling with the prospect of divorce, looking to take on the responsibilities of supporting your children, working to gain Father’s rights, or trying to get out of an abusive situation, we are ready to help you fight your legal battles. Our experienced divorce lawyers and family law attorneys have the experience, determination, and drive to get the best possible results for your unique case. By developing a plan for how to best handle your case, we are able to free you from the stress of worrying what’s going to happen to you next. You are then free to move forward with planning the next stages of your life, with an eye towards a brighter future. Grigaltchik & Galustov, Attorneys At Law, provide competent, compassionate legal support to Jacksonville residents who are seeking assistance with any type of family law issue. We understand that family law matters are emotionally charged and complicated, especially when dealing with issues such as divorce, child custody, alimony, and other matters of the heart. Dealing with family law issues from a logical standpoint is extremely challenging. We help you to separate facts from emotions so you can understand the options available to you, and what you ultimately hope to accomplish by moving forward with the legal process. Once we are able to clearly define your personal goals together, we begin to develop a strategy for accomplishing them, utilizing effective legal measures where appropriate. If you have been struggling with a family matter, and are ready to get the legal support you need to take the next steps, reach out to your Jacksonville Family Law Firm, Grigaltchik & Galustov at (904) 337-4891 for a free consultation and case analysis. When it comes to matters of family, only the best will work. We know how important this is, and often is one of the biggest challenges our clients have ever faced. With our legal team of experienced Family Law & Divorce Specialists, we are confident that Grigaltchik & Galustov can get the optimal resolution for you. Contact Grigaltchik & Galustov, Attorneys At Law, now at (904) 337-4891 for a no-obligation consultation!